Explanation: Today, the Sun crosses the celestial equator heading south at 0951 UT. Known as the equinox, the astronomical event marks the first day of autumn in the northern hemisphere and spring in the south. Equinox means equal night and with the Sun on the celestial equator, Earth dwellers will experience nearly 12 hours of daylight and 12 hours of darkness. Of course, for those in the south, the days will grow longer with the Sun marching higher in the sky as summer approaches. 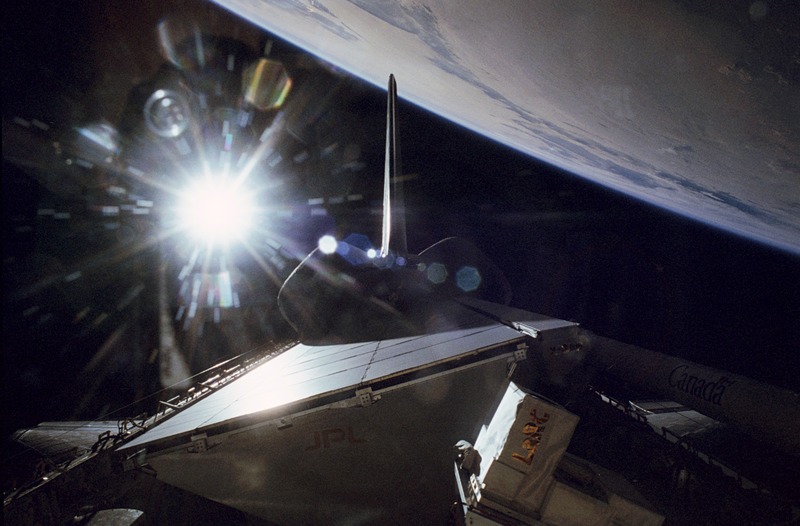 A few weeks after the September Equinox of 1994, the Crew of the shuttle orbiter Endeavour recorded this image of the Sun poised above the Earth's limb. Glare illuminates Endeavour's vertical tail (pointing toward the Earth) along with radar equipment in the payload bay.